THE PICKIEST EATER IN THE WORLD: CHILLI'S NEW PREMIUM MARGARITAS! 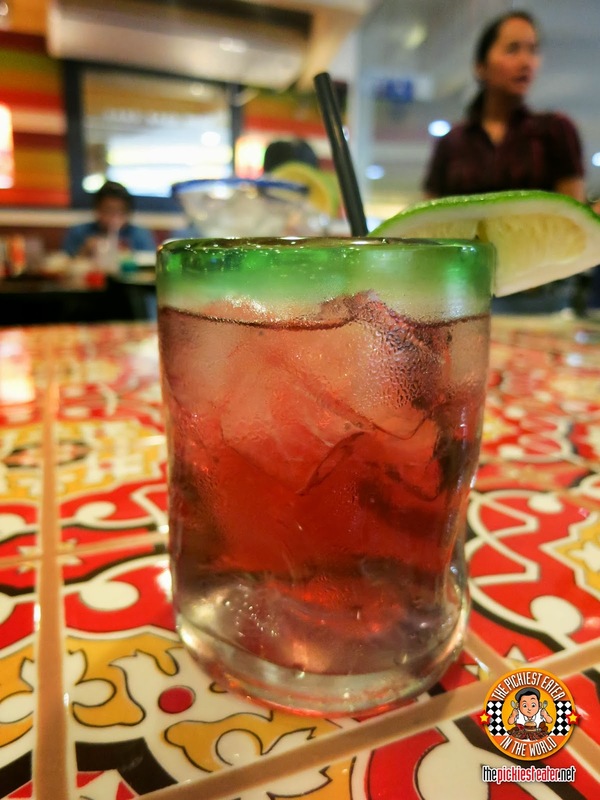 We would always go to Chilli's mainly because of their top shelf margarita! 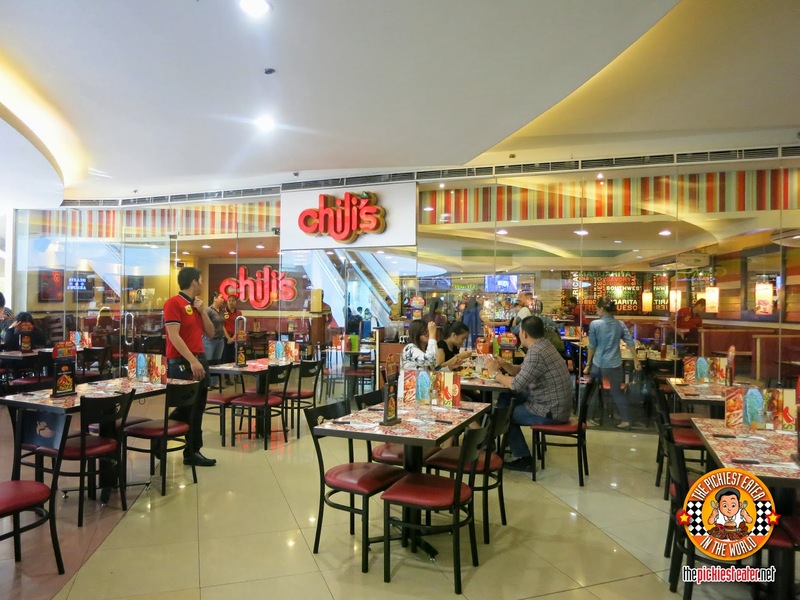 And so you can imagine my delight when years after, some of my blogger friends and I recently got an invite to try Chilli's new line of margaritas! 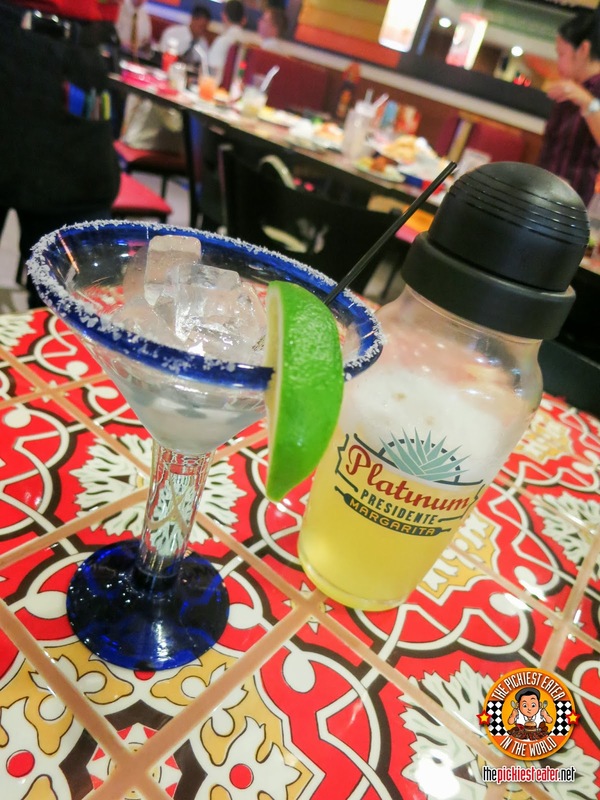 Chilli's now serves premium margaritas for their Happy Hour! 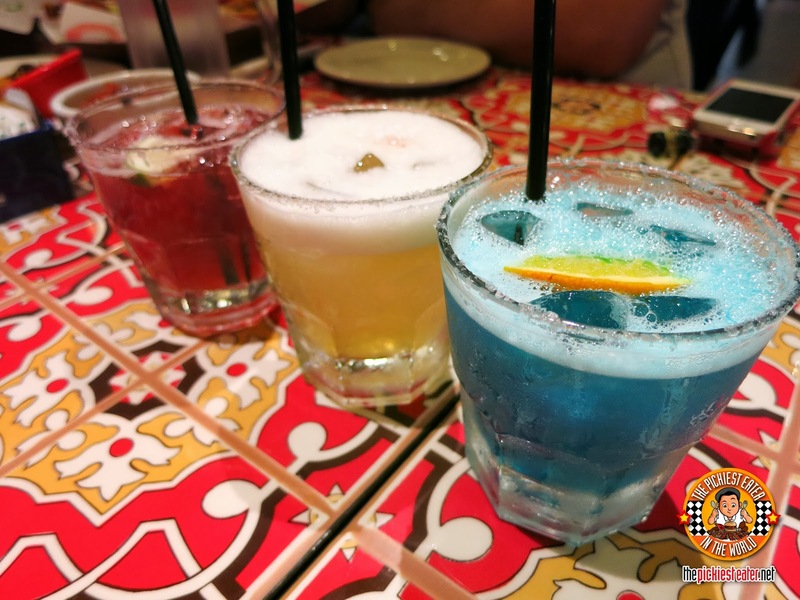 It's a trio of colorful margaritas called Chilli's Rita Trio (P350) where you get to pick three from the following flavors: Pomegranate Margarita, Tropical Sunrise, El Nino Margarita, Chambord 1800 Margarita and Blue Pacific Margarita. These are definitely a good deal for you and your friends! And those who know their margaritas would be delighted with the fact that Chilli's used Patron Silver in these new lines of margaritas. (A well-known ultra premium tequila worldwide). Fortunately, it's not just the new margaritas that they wanted to introduce us to. They also have some new dishes that I was more than willing to try! The Honey Chipotle Cripsers (P320) is very good. It's like my favorite Chicken Crispers but coated with their own Honey Chipotle Sauce that is a mix of sweet and salty. Just the way I like it! 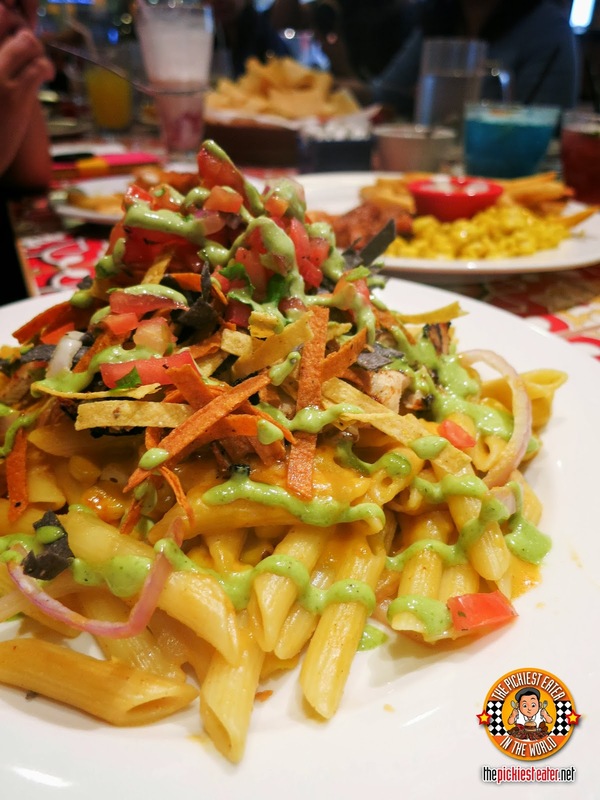 The Chicken Enchilada Pasta (P430) is another new addition to their line of pastas. It's penne pasta with strips of tender chargrilled chicken, some onions, corn, then blanketed in a rich enchilada sauce, and melted chipotle cheese. But it's not finished. It's drizzled with cilantro aioli, and then topped with tortilla strips for that extra crunchy texture. Then some pico de gallo and fresh cilantro. It's a texture party in your mouth! The Fajita Trio (P675) is also fairly new. 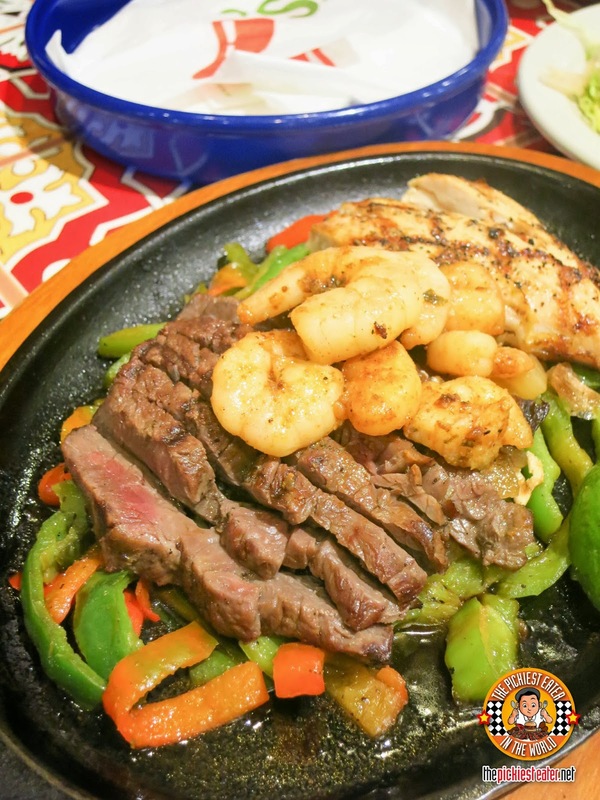 It's tender grilled steak, chicken, and spicy garlic and lime grilled shrimp served on a sizzling plate with onions and bell peppers. I enjoyed the softness of the steak and the barbecue-ish taste. This is the Steak with Chile Lime Shrimp (P895). Yep quite pricey for me. But that's because it's awesome. 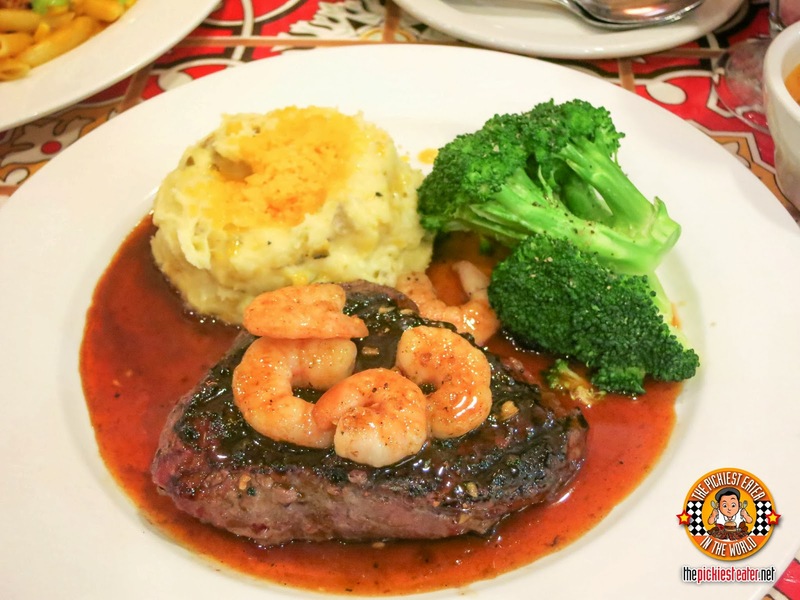 It's sirloin steak that is seasoned with peppercorn spice and then topped with some grilled shrimp and chile lime glaze. Served with jalapeno mashed potatoes and steamed broccoli. Being a shrimp lover, I would just have preferred the shrimps to be bigger. Then again maybe I'm better off with just a shrimp dish hehe. The Grilled Salmon with Garlic and Herbs (P675) seemed sweet at first bite. And then the heat kicks in hard. A traitor! Hahaha! It's good but it was personally quite hot for me. 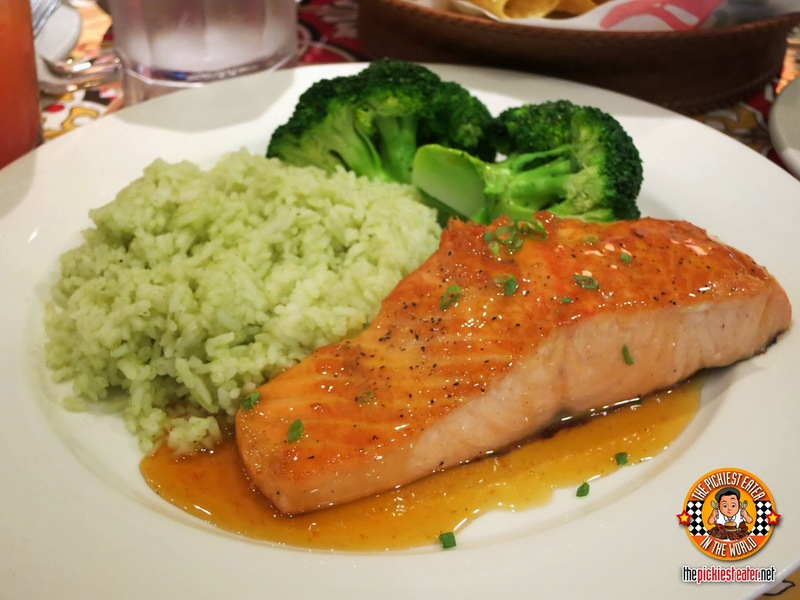 This is a salmon fillet seasoned with garlic and herbs, and then sprinkled with green onions, served with cilantro rice and steamed fresh veggies. And then there's this appetizer that's not really a new dish but is new to my taste buds. 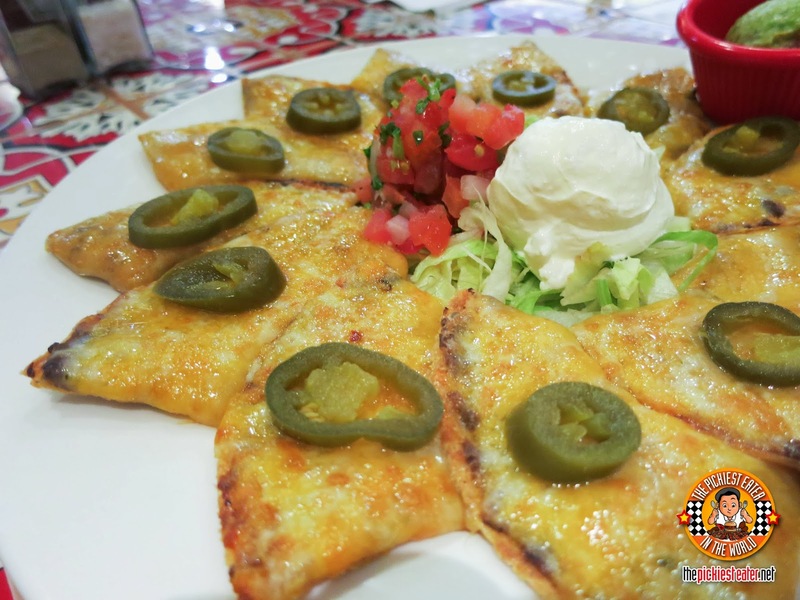 The Classic Nachos (P435) looks more like a quesadilla because the nachos are stuffed with cheese. It's really good! I can't believe I have never tried ordering this before. It also has jalapenos, beans, queso and a hint of seasoned beef. The served with pico de gallo and sour cream. You can opt to add grilled beef, chicken, or guacamole. 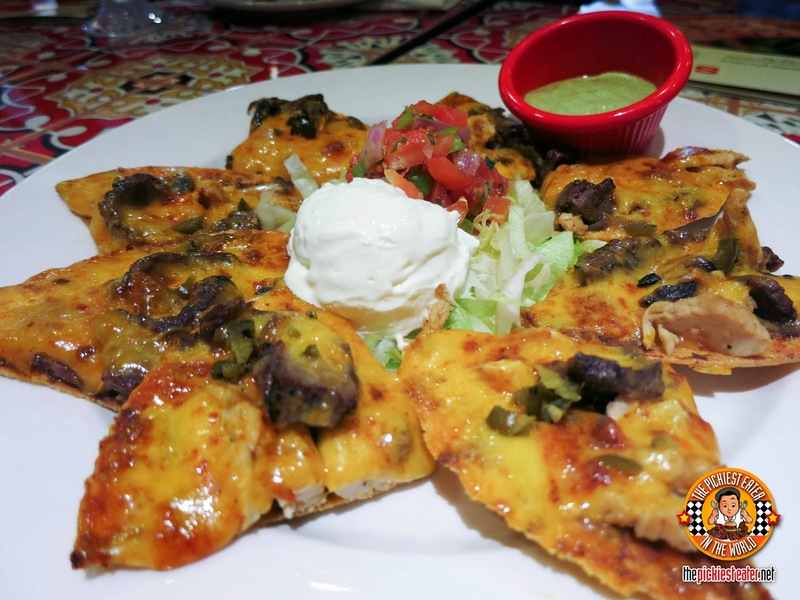 Next up is the Bold Nachos (P595 for Beef, P550 for combo, and P495 for Chicken). It's as rich and as filling and as addicting as it looks. Mashed black beans inside sharing the space with gooey melted chipotle cheddar cheese, and then topped with the meat of your choice, roasted jalapenos, and cilantro aioli drizzle. And of course again served with pico de gallo and sour cream in the middle. And yes we were also very happy to end our meal with these yummy desserts! 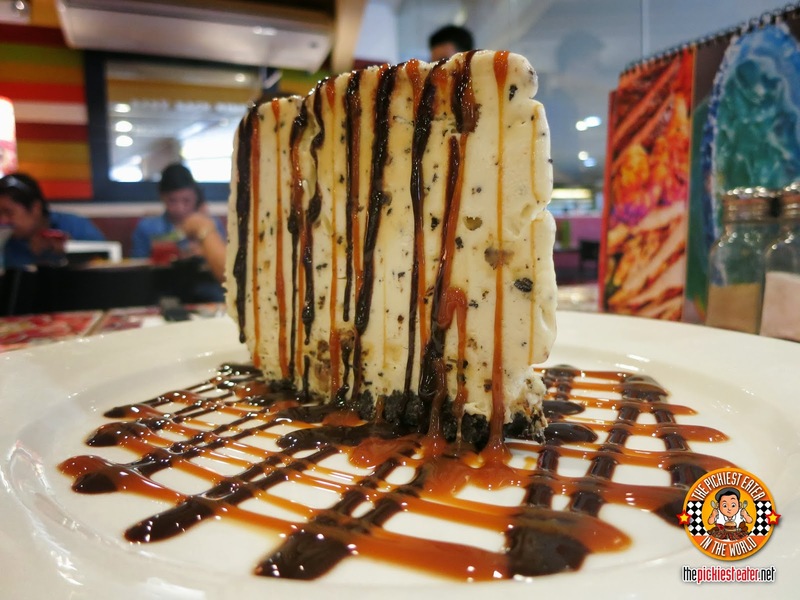 This huge cake is called the High and Mighty Pie (P380). It's actually a Vanilla ice cream cake with Heath candy pieces in it, and has crushed Oreos for its crust. then drizzled off with caramel and hot fudge. I know it looks like something you won't want to share but trust me, split it with someone! It's huge! Next is the Fried Cheesecake (P350). 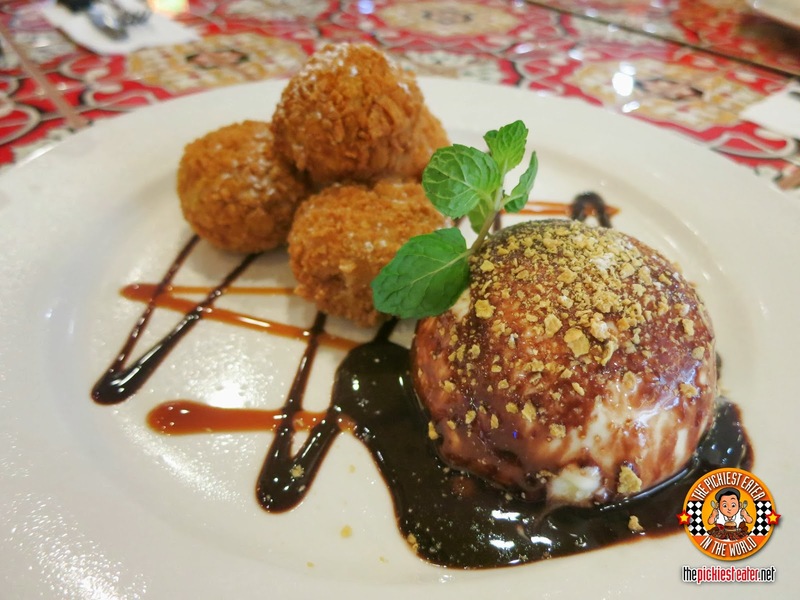 Deep fried cheesecake into a golden brown, and then served with caramel and chocolate sauce and then a vanilla ice cream on the side. *burp*. 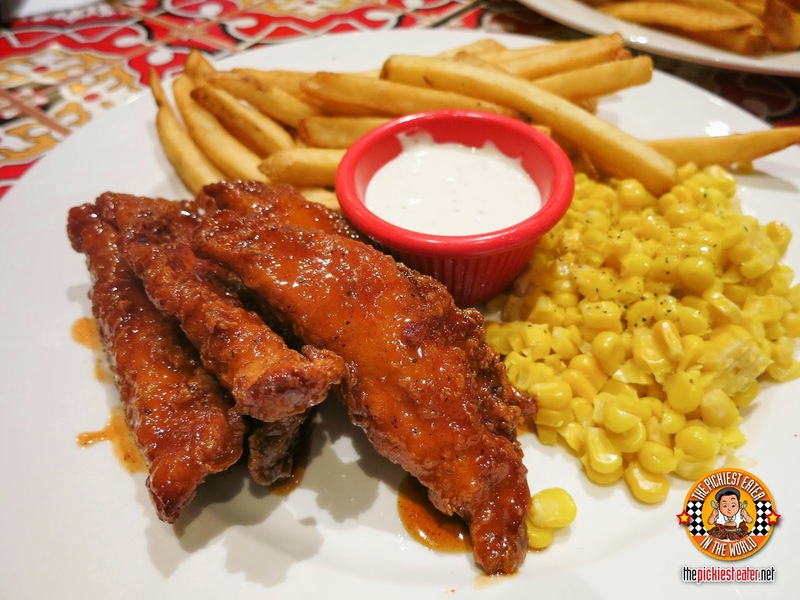 Chilli's is definitely a great place to hang out and just eat, drink, and be merry! I'm so happy to be reunited with Chilli's! Now my next step is to reunite with the girls!